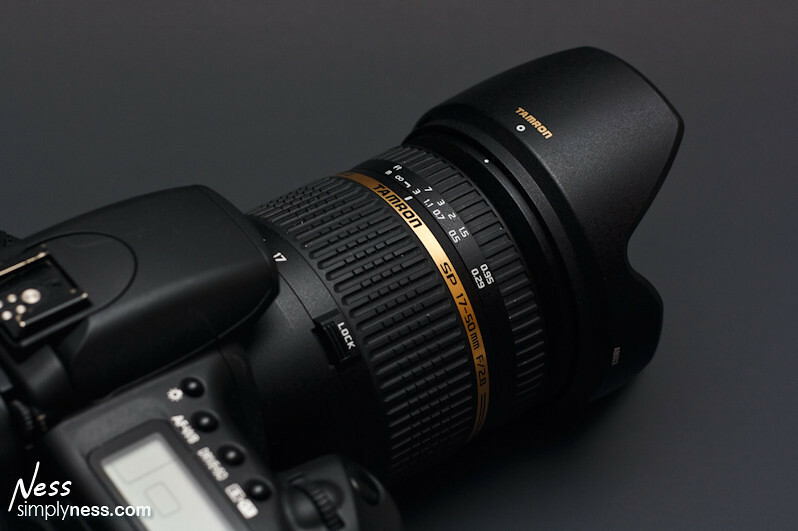 This is a follow up on the mini review a wrote for my Tamron 17-50mm VC back in March of 2010. You can read the post here. For the past 1 year and 19 days at the time of posting, the Tamron SP AF17-50mm F/2.8 XR Di II VC has been my primary lens. It’s the lens that I use most the time other than my Canon EF 50mm F/1.8 II. I’ve use it in events, rallies, birthday parties. I’ve use it in hot and cold weather conditions, I used it day or night and it still take great pictures except for the occasional hunting when it is really dark. I’m really happy with my decision to buy it over the more expensive but impressive Canon EF-s 17-55. Mainly because I was able to save around $450, the EF-S 17-50mm was around $1099 at that time. I then use the savings to get myself a EF 85mm F/1.8 USM Prime Lens which is a great lens for portraiture and macro when paired with an extension tube. As I remember I was set to get the Canon brand, but what made me picked the tamron was really the price. $1099 is a lot of money and for me to spend that much on a lens that is not L quality is too much. Ok, let’s disect this lens. The Tamron SP AF17-50mm F/2.8 XR Di II VC has a somewhat textured finish as you can see on the photo on the left, it’s entirely made of hard plastic, but it feels really solid and very well made, in fact it’s heavy, heavier than my previous, EF 28-135mm IS USM, it weighs 21.8 oz, or 1.365 lbs. with the lens cap and lens hood on. When attached to the EOS 20d they weigh 3.020 lbs or 48 oz. The lens mount is made of entirely of metal which is important. The zoom and focus ring are rubberized which add to the overall excellent feel and handling of the lens. The size of the focus ring is just for my hand, I can easily reach on and turn it when needed. Full-time manual focus would have been nice, but I don’t miss it. I know that already before I bought it. With this lens, I have to flip a switch to engage AF / MF and to use the focus ring. Manual focus is nice, it’s smooth, almost like the EF 85mm F/1.8 USM. F/2.8. Great for low light. VC (Vibration Compensation) really works, adds 4 stops of stabilization, perfect for hand held low light situations. Heavy, makes the weight well balance for my tastes. Made of hard plastic but has excellent build quality, very solid. It’s sharp especially when stop down. 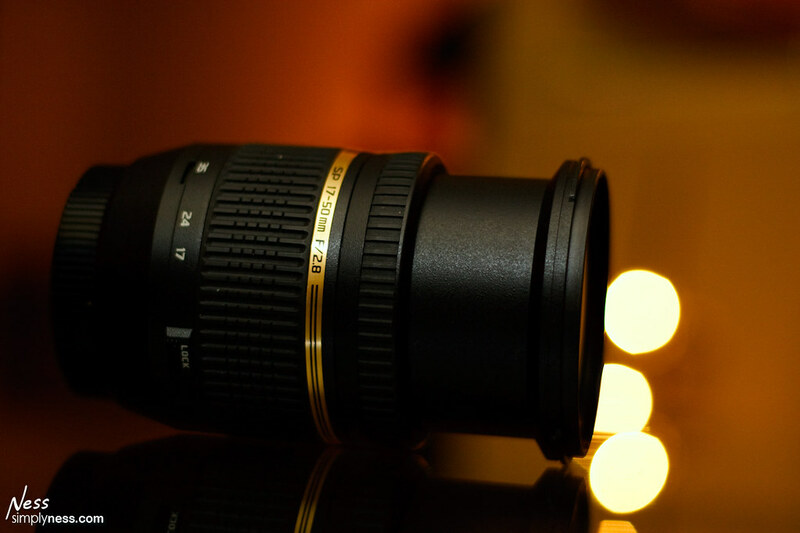 Auto focus is consistent and fast, although in very dim light, like any other lens, it hunts. Manual focus ring works great, not too tight, not too loose. The front element of the lens does not rotate during focusing or zooming, making it ideal for filter use. This is important if you love usin CPL. Comes with a great Lens Hood ( I used it 95% of the time). Perfect for protection and shade. Although not weather sealed like L lenses, it’s durable enough and can handle the beating. Perfect for Street Photography. Shoot at 17mm and you can capture people in it’s environment, shoot at 50mm for close-up portraits. After a year of continous use, I’ve noticed that some dust has accumulated on the inside, which does not affect image quality. No full-time manual focus. I need to flip a switch to engage AF/MF. You can see more of my photos that were created using the Tamron 17-50m F/2.8 VC on my 2011 and 2010 Photos of the Day Section. This lens is not perfect, it has it’s own weaknesses. But when you learn to work around those weaknesses, it will give you excellent results. Would I recommend it? Yes I would, definitely. If you are sure that you will not upgrade to a full frame sensor in the future, this lens is perfect. This is one of the reason why I chose it over the Canon EF-S 17-55mm f/2.8 IS USM Lens . This and the Canon EF-S line of lenses won’t work on full framed dSLR like the EOS 5D, 5D Mk II, and all the 1D, and 1dS Series. If I’m going to buy a lens in the $1000 + price range I’ll make sure that I get myself an L quality lens and something that will work on a full framed sensor. But that’s just me. This entry was posted in Photography Gear Reviews and tagged in 17-50mm, camera gear, f/2.8, fix aperture, gear, gear review, highly recommended product, Lens, product review, review, reviews, tamron, vc, zoom lens.